Meridian Construction has done it again! 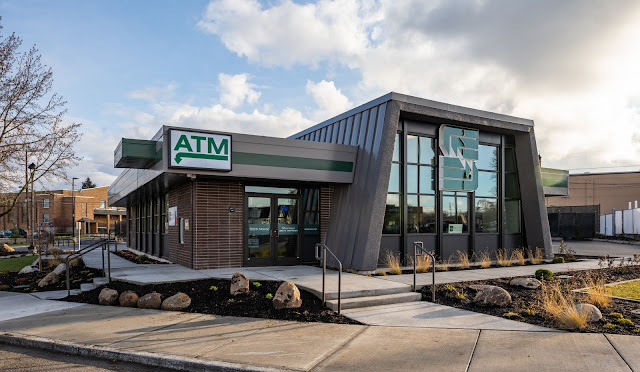 Last month they, acting as general contractor, wrapped the exciting renovations for Spokane City Credit Union. Spokane City Credit Union located at 1930 N Monroe has been completely re-done. The building has 2000 square feet on the main floor and 2800 square feet on the lower level and all of was re-done with new interior finishes, lighting upgrades and more. The site was even cleared to make way for new concrete, asphalt drives and unique rock landscaping. The project was done in phases to assure that the credit union could remain operational throughout construction. Just 4 years ago, Exotic Metals Forming announced that they would build a new factory nearby Spokane International Airport in Airway Heights. Now the Kent based aerospace company is open and operational in that 150,000 square foot plant located at 12821 W. McFarlane Rd. But, it looks like Exotic Metals Forming isn't done investing in the Spokane region. This as the company has filed a SEPA application for a very large expansion, built out over the next couple of years. If all is approved and goes as planned the company plans to build 2 more 150,000 square foot buildings directly the west of their existing facility. Construction of the 1st building is hoped to begin early next year, and the 2nd building would follow that, possibly in 2020 although construction dates for that phase aren't set yet. A new 300 space parking lot would also be added, also built in phases. And, each new phase would add about 150 new jobs. Exotic Metals Forming specializes in the design and fabrication of sheet metal assemblies and components for commercial and military aircraft applications. The already employ an estimated 150 in Airway Heights and per their website appear to be presently hiring. Recently both the Spokesman Review and the Cheney Free Press ran articles on the upcoming housing shortage on the West Plains. Amazon and possibly several other companies are coming, especially in the Airway Heights area. With that news I'd say it's safe to say we'll be seeing even more residential construction in this area, likely focusing largely on multi-family. One such new project is now in the SEPA application phase, a new large apartment community tenitivly called Beau West. This new apartment complex would sprawl over 9.23 acres and would offer 204 apartments and 15 buildings. It is being developed by the Liberty Lake based Rudeen Develoment at 7410 Hayford Rd., at the corner of Hayford and Westbow. It’s no secret that both K-Mart and Sears have struggled in recent years. But until now Kmart has maintained a presence in Spokane. While not officially coming from Kmart themselves many reports are now indicating that the last Spokane Kmart at 4110 E Sprague has been sold and will be closing. The Phoenix Business Journal, among others, has reported that Arizona based U-Haul has purchased 13 total Kmart stores for $65 million, including the store here locally. U-Haul plans to convert the store buildings into self storage complexes with offices to rent / return U-Haul trucks. While Kmart is departing the Spokane market, Sears remains in business at Northtown Mall and Spokane Valley Mall. Seaview Global has announced they will be relocating their warehouse and corporate offices from Lynnwood,WA to a newly constructed business park in Liberty Lake. The company will lease an approx. 4500 square foot space at 2225 N. Molter Rd Suite 105, where it will employ 5 but with room to grow. Greater Spokane Inc. helped recruit the company to the Spokane area, as a part of their recent focus on promoting our area to companies in the I-5 corridor. Seaview Global is a leader in designing and manufacturing mounting solutions for marine electronics. " The decision to relocate to Liberty Lake will allow our company to continue development of mounting solutions for critical navigation components for the marine industry " said Jason Romesburg, president of Seaview Global. Seattle based Rover.com is relocating their Spokane office. The company opened their first office outside of Seattle here in early 2017 and are they have already outgrown their offices which located in Downtown Spokane's Bennett Block building. JLL and NAI Black today announced that Rover.com has leased a 30,000 SF space within the recently renovated Wonder Building at 835 N. Post. Rover has leased the entire top floor and the western end of the second floor and plans to move in by May 1st, 2019. JLL's Mike Sharapata and NAI Black's Chris Bell represented the landlord, Wonder Spokane,LLC and Blair Stern and Pat Pendergast of JLL's Seattle office represented Rover.
" 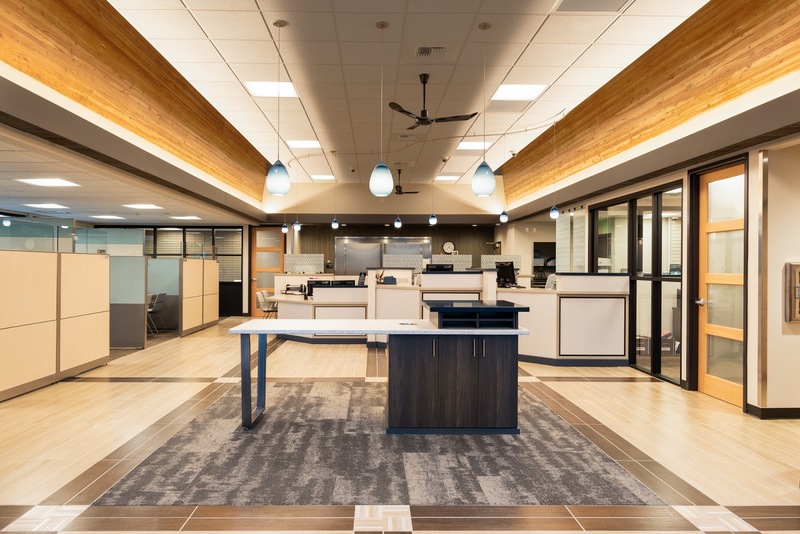 The addition of Rover solidifies the transformation of the historic Wonder Building from a former bread factory into one of the premier office locations in Downtown Spokane " said Pete Mounsey, the president of Wonder Spokane. He goes on to note that " Rover is now the 3rd tenant at Wonder Spokane, representing nearly 70% occupancy since the warm shell delivery in July of this year". The Spokane office of the Seattle based engineering firm Parametrix,Inc. also recently moved into the Wonder Building where they now occupy a 8,000 square foot office on the second floor. Rover.com is the nation's largest network of 5-star pet sitters and dog walkers. The company continues to grow rapidly and is set apart from most other local employers for their pet-friendly office concept, allowing employees to bring their dogs to work with them. Northern Quest Resort & Casino is always on a quest to keep their patrons happy with the newest and best venues and restaurants. 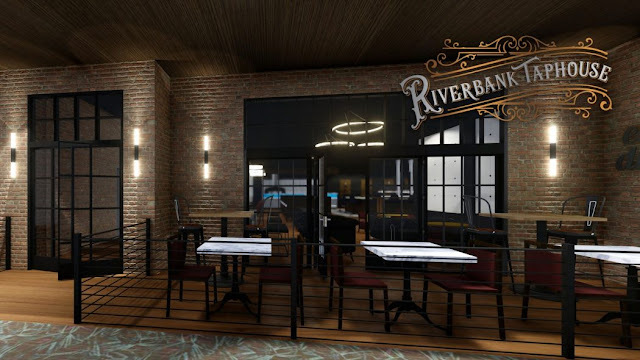 And, now they've done it again with this weeks opening of Riverbank Taphouse located inside the resort. Riverbank Taphouse took over the space last used by the Impluse night club, adjacent to the Casino floor. The space is cool new bar with wine, craft cocktails, bar top gaming and of course beer, in fact Riverbank Taphouse has a whopping 52 taps! They have beers from domestics to seasonal to local craft beers and many more. There is even sampler flight for $8 that comes with 4 pour of your choice. Global Neighborhood Thrift is currently planning a huge move and expansion coming in the first part of next year. The store, which supports the larger Global Neighborhood non-profit will be relocateing to the space currently occupied by Catholic Charities Furniture Bank at 919 E. Trent. Plans call for the organization to move there sometime in the spring from their current home at 902 W. Indiana. The move allows Global Neighborhood to nearly double the size of their operation as the new location on Trent is 22700 square feet. And, to assist in the move they have started fundraising via https://tinyurl.com/gnimpact , they hope to raise $35,000 with the Smith-Barbieri Progressive Fund matching up to $10,000 of the donations. Global Neighborhood is a 501c3 employment focused social enterprise business that provides opportunities to former refugees so they can thrive and contribute as equal members of our community. All proceeds from the Global Neighborhood Thrift store are used for job training and paychecks for the people in the program. In the past 7 years Global Neighborhood has provided job training to 115 former refugees from 29 different countries. With this expansion and move they aim to double the number of people who are employed by Global Neighborhood Thrift. One of Spokane's Shopko department store locations is going out of business. Listed as one of 39 total Shopko's to close nationwide, the store at 4515 S. Regal will officially close their doors in February. Liquidation sales will begin today ( Dec. 7th ) and run through the holiday season. The South Hill store is the only store in Spokane and all of Washington state set to close. Shopko intends to continue operating their North Spokane, Spokane Valley and Coeur d' Alene stores. The national closures are a result of the Wisconsin based retailers plan to scale back it's brick and mortar retail presence in hopes of restructuring the company which is said to be possibly preparing for bankruptcy. The majority of the 39 stores set to close on the new list are small town geared Shopko Hometown formatted stores. In addition to the Spokane Shopko closure, a store in Bonners Ferry,ID at 6355 Main St will also close their doors. Construction will be getting underway soon for a new two story medical office building on the west side of Liberty Lake. 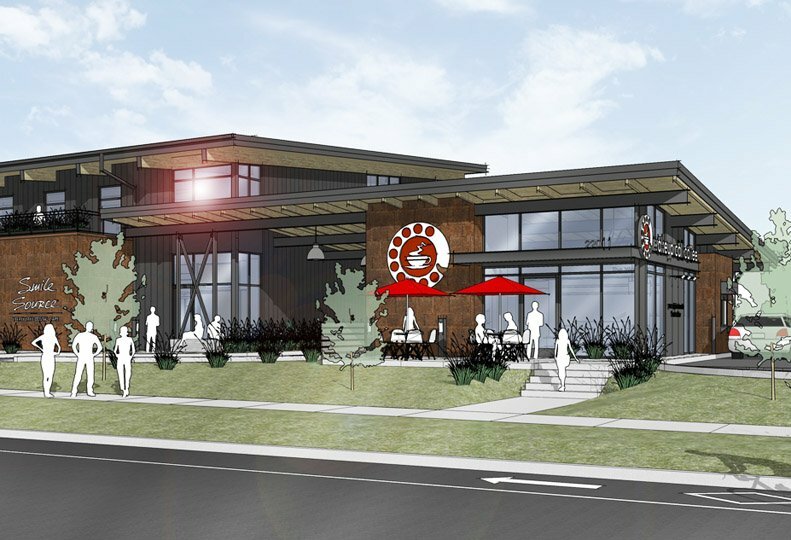 In addition to the new medical offices, the scoop that's creating the most buzz is the building will also have an attached Wake Up Call coffee shop. 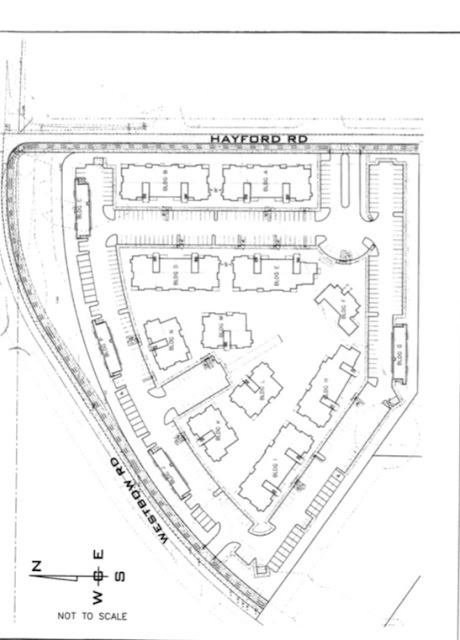 Plans call for the new building to be built at 22011 E. Country Vista Dr. , or a bit west of Yokes. The office portion will have about 5400 square feet of space on the ground floor and 4188 square feet on the second floor. The Wake Up Call will occupy about 1200 square feet in an addition and will include a drive thru lane, like all other Wake Up Call coffee shops. The building is also already fully leased with Liberty Lake Eyecare Center and Casey Family Dental planning on also opening locations in the new building. As currently planned the businesses coming to this project will open after the building is completed, likely during the Summer of 2019. Leasing begins for new strip mall on Sullivan Rd. Construction crews are working quickly on another new strip mall going up in Spokane Valley. This new project consists of a new 4125 square foot retail structure with space for up to four business. Located at 604 S. Sullivan Rd. 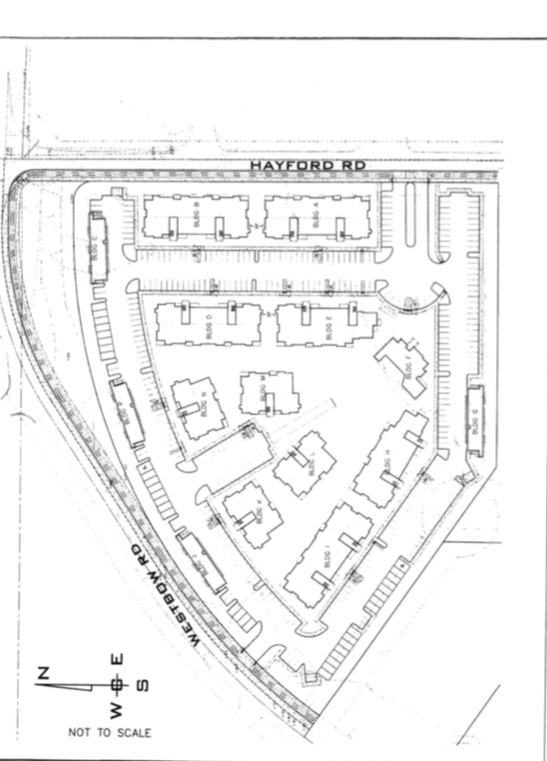 the development is estimated to cost about $900,000 and is located almost directly across Sullivan Rd. from Central Valley High School. The building is being constructed by Yost Gallager Construction and owned by the Spokane based Domino's Pizza franchisee, Pacific Pie,Inc. . Given the owner, of course the new building will be anchored by a Domino's Pizza restaurant. The new Domino's Pizza will take the largest space with no announced opening date just yet. The remaining space will go up for lease.